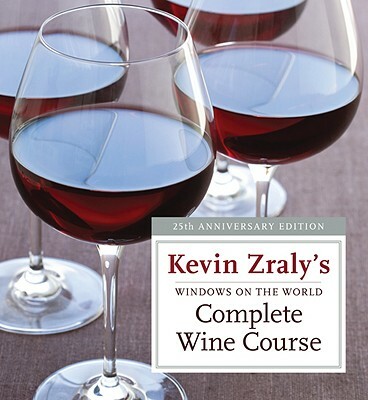 Let's pop a cork and drink a toast to America's very best, most popular wine course Windows on the World Complete Wine Course is celebrating its silver anniversary, and this classic volume now has new, updated material that wine lovers will savor.For this new edition, Kevin traveled to eighty wine regions in twenty countries, tasting more than 4,000 wines and meeting 500 winemaking professionals. To assure that he had all the latest wine-producing news, he recently visited vineyards in Austria, Hungary, Greece, New Zealand, South Africa, Chile, and Argentina. Plus, he has updated Wine-Buying Strategies, best vintages, wine lists, and labels. As always, the book includes Wine Basics, Tasting Wine, Matching Wine and Food, Frequently Asked Questions About Wine, and a Selected Glossary. Zraly goes region-by-region, with the wines organized from simple to complex. By following Kevin's order, readers will experience the best wines and a wide diversity of tastes, styles, regions, and countries.It's not only a comprehensive and bargain-priced hands-on wine education, and a superb catalog from which to start a wine cellar or find the right bottle, it's also an inexpensive way to get the knowledge Kevin imparts in his outstanding course. This is clearly the wine guide against which all others are judged. Description: Some wrinkling of jacket, tear on rear flap. Text clean. Coated stock, numerous color photos. 25th Anniversary edition. Zraly gives highlights of his year-long wine tour to 20 nations and 4,000 tastings. Written in an accessible breezy style, the author aims to inform both the novice and the expert. Includes glossary, index. Collage of autographs on endpapers. Keywords: WINE. Gastronomy. Vineyards. Vintages. Church benefit.